Please visit westmtn.net/mountain for our hours and availability. 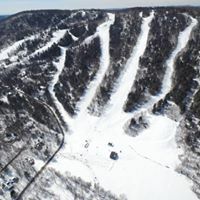 Queensbury-NY-based West Mountain is conveniently located only 3 miles off exit 18 off I-87, 40 minutes north of Albany, NY and we offer skiing, tubing, lessons, alpine and Freeski and Ride teams, awesome terrain parks, a delicious and beautiful restaurant and bar and and more! Our West Mountain Sports shop (located across the courtyard from our Main Lodge) offers quality rentals, ski and snowboard tuning/DIN adjusting and retail items. 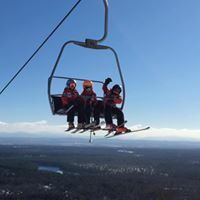 With stunning views of the Hudson River and the Adirondacks, West Mountain has been the perfect setting for your families’ winter outing for over 50 years. 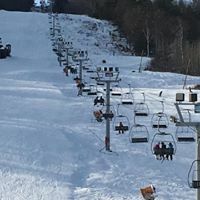 Currently there are 30 trails and over 126 acres, ranging from easy, gentle learning slopes to challenging, expert terrain. These days natural snowfall is anything but guaranteed. Thankfully with a dedicated snowmaking and grooming crew, we are able stay ahead of the curve during these challenging Northeast Winters, covering 80% of the terrain in snowmaking. In the off-season, West Mountain offers downhill and cross-country mountain biking and scenic chairlift tours as hosts several wonderful events such as our 5k Obstacle Race, Mountain weddings, our Over the Top 10k Bike, 5k Run, Fall Festival in October and more!